It’s now been a year since I started as a Sustrans Volunteer Ranger. 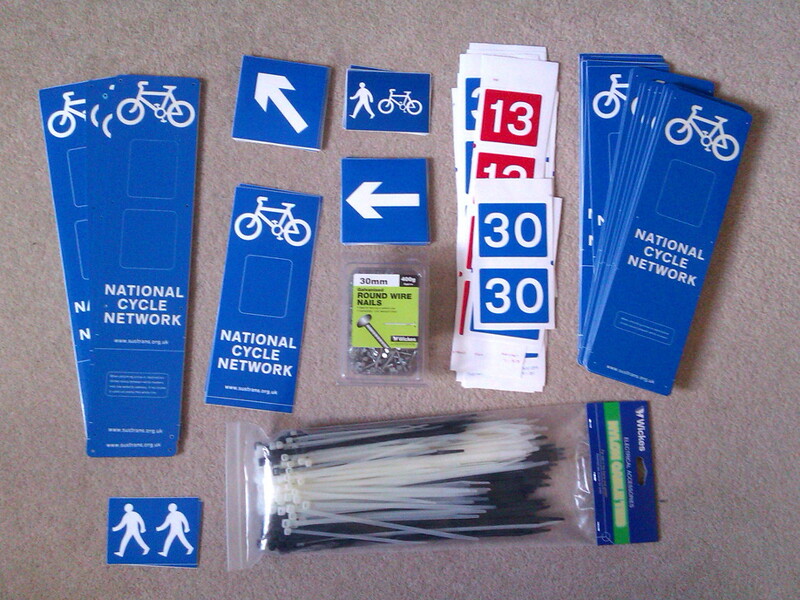 During that time I’ve been out on my bike 12 times to inspect the route, and have put up or repaired over 120 signs! It’s been good fun so far, and good for my fitness too. Hopefully my bits of route 13 and route 30 are now being kept in good shape. On each ride I take my signing kit with me. It all fits nicely into this old conference shoulder bag I found in a cupboard. Inside, I have a number of items. 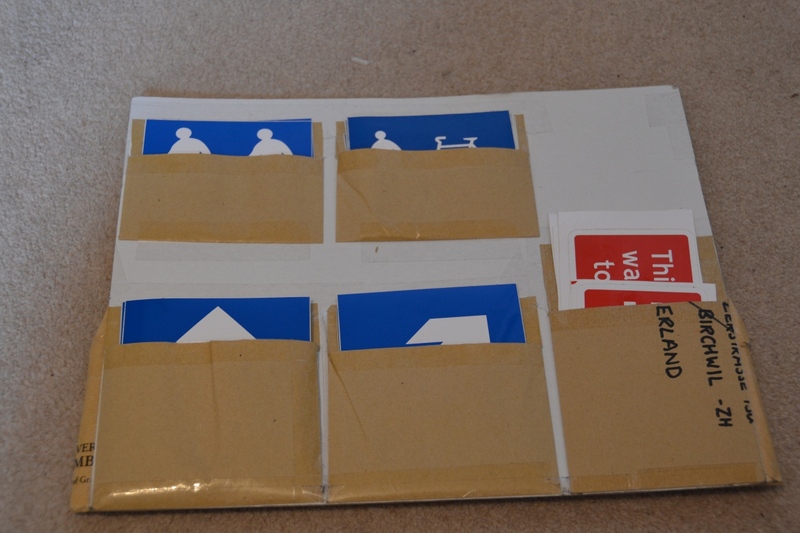 The temporary ranger signs are stored in a DIY holder, comprising old envelopes stuck on to both sides of a piece of stiff card. 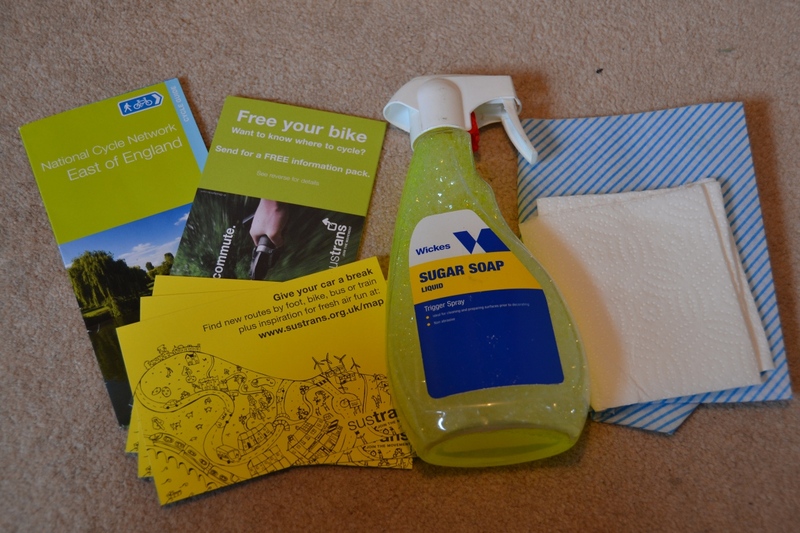 I then have a spray bottle of sugar-soap solution and some wipes for cleaning posts before applying the signs, some leaflets and post-cards about Sustrans, a hammer and nails (for the rigid plastic signs) a staple gun (for attaching signs to telegraph poles) and assorted cable ties (for the rigid plastic signs). I’ve just had my third delivery of temporary signs. This time including a batch of rigid plastic signs for attaching to concrete lamp-posts, wooden posts, and other places where the self-adhesive signs are no good. 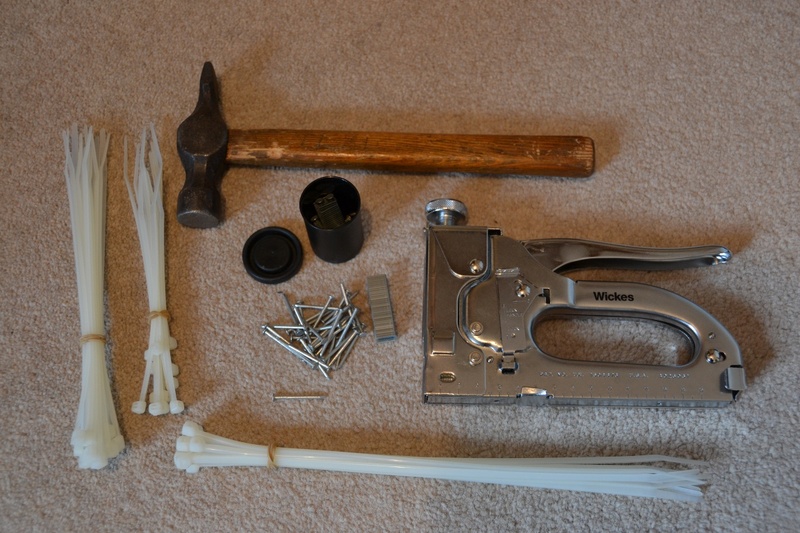 I’ve also purchased a pack of cable ties and some galvanised (non-rust) nails for attaching them. 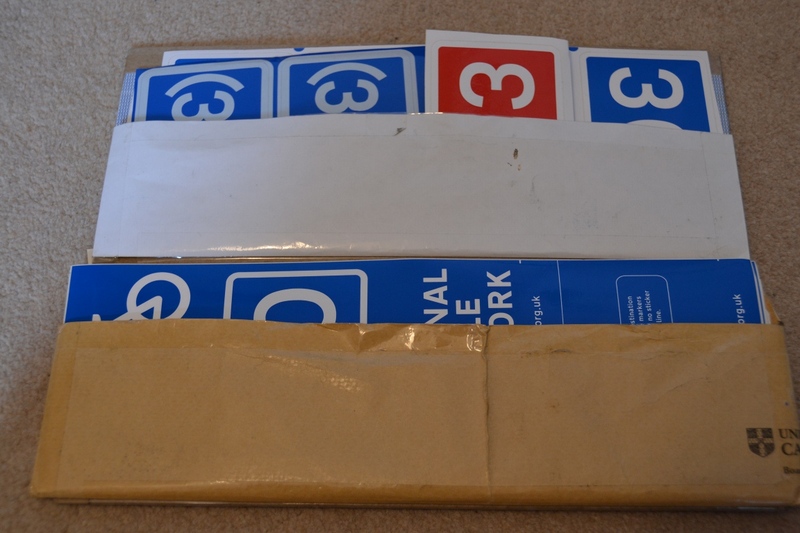 Hopefully I’ve now got enough signs to complete the signing of my section of the Route 30, along with enough spares for ongoing maintenance work. My second order of temporary signs arrived today. I should now have enough to complete the signing of all of my sections of route 30 and route 13, including the new diversion to route 30 near Brandon. I went to Wickes today to get some essential provisions for putting up temporary signs. 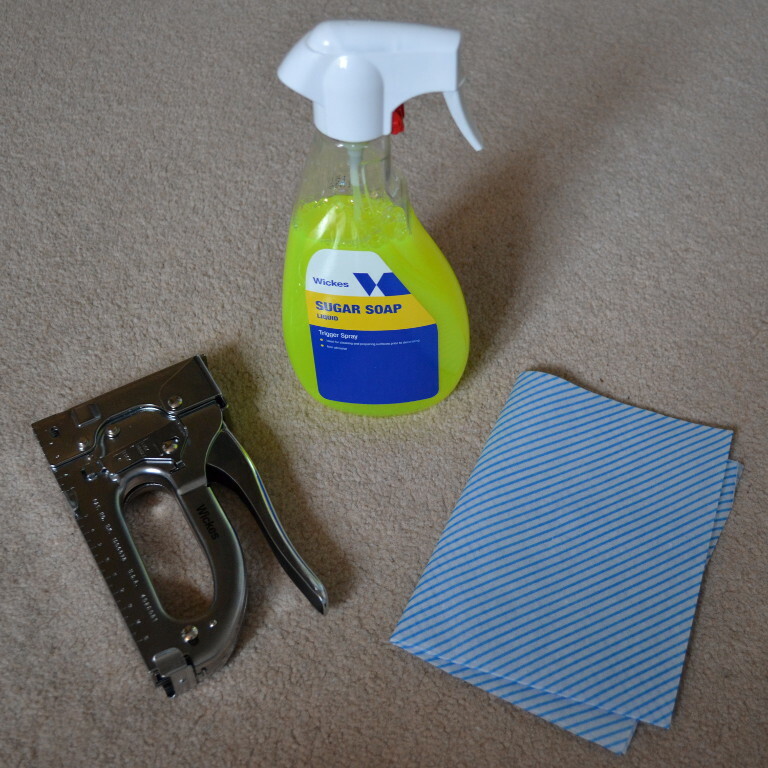 A sugar soap spray and cloths for cleaning metal posts, and a staple gun for attaching the signs to wood. Now I should be all set. 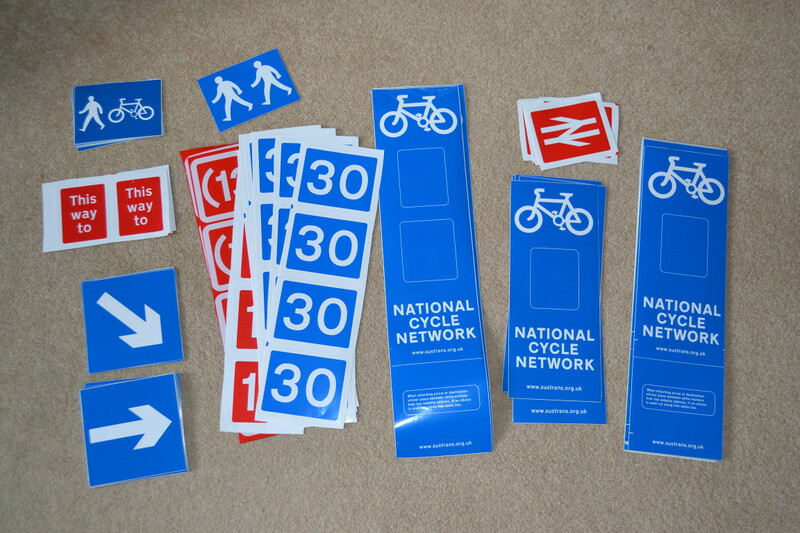 My first order of self-adhesive signs from Sustrans arrived today. These signs — erected by volunteer rangers — are intended to be temporary signs until permanent metal signs can be erected. The basic sign comprises a standard base, with space for one or two route number patches and a direction arrow. There are variations for railway station links, and shared-use sections. 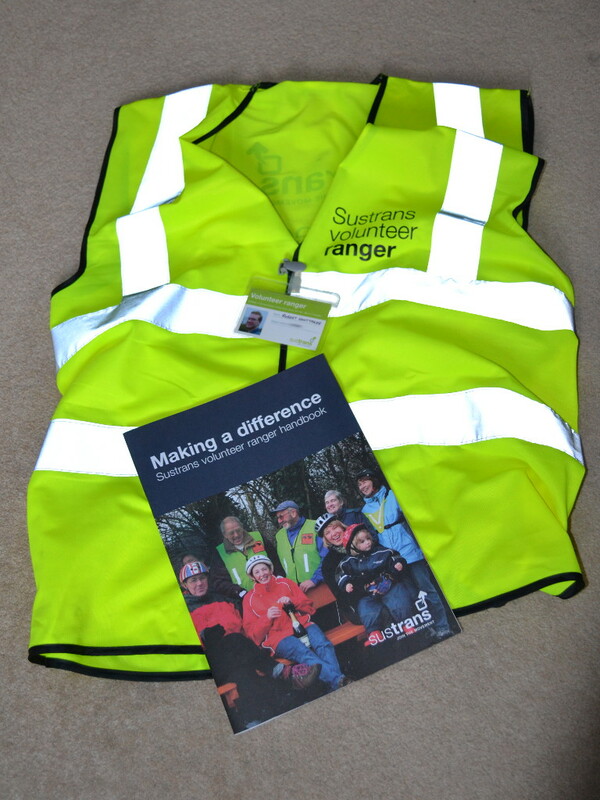 My volunteer ranger pack arrived today. 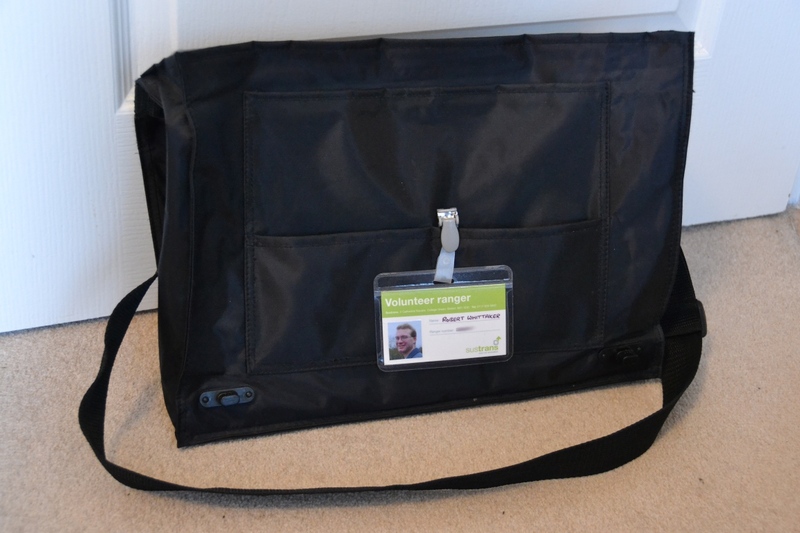 Amongst other things, it included a high visibility jacket, an ID badge, and the volunteer handbook.